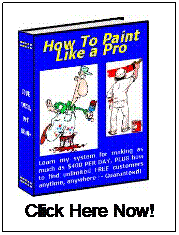 The right painting book is the number 1 tool you should buy for your painting business if you are having trouble estimating and/or advertising. It’s the number 1 tool needed if you are starting a new painting business and don’t know how to bid your jobs. I never bought a painting tool that didn’t make me more money. Every tool I ever bought for my business I have used over and over again on various jobs. This is why I have listed this page in the tool section of my site. I lost a lot of money underbidding in the first few years of my painting business and also from a lack of getting new jobs, especially around the Holidays. When I first started painting I didn’t know where to turn for advice. Most painters are reluctant to tell you any of their trade secrets if they have any at all. I would have gladly sat down with an experienced painting contractor over a cup of coffee and laid out $100 for a simple estimating and marketing system that I could use. 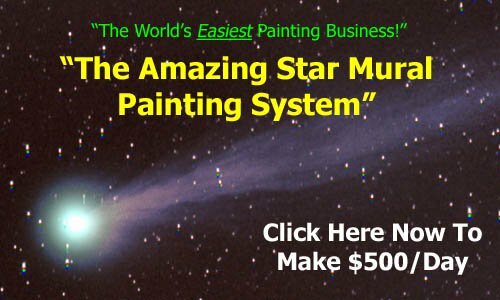 Did you find this article helpful for painting book? Click here for more related info.